This two-week itinerary lets you get under the skin of both New Zealand’s north and south islands. You’ll visit cities and rural locations taking in some of the breathtaking scenery that New Zealand is renowned for. Enjoy a self-drive itinerary allowing you to pace yourselves between destinations. We’ve handpicked some of our favourite hotels where you’ll enjoy both comfort and service as you take this trip of a lifetime. On arrival into Auckland, you will be met and transferred by private vehicle and transferred to your accommodation in downtown Auckland. Auckland is located on the spectacular sparkling Waitemata Harbour with major landmarks the Harbour Bridge, the Sky Tower and Rangitoto Island, the region’s youngest volcano all dominating the skyline. It’s a colourful vibrant city, often called the ‘City of Sails’. Visitors can enjoy the magnificent harbour, the many and varied activities of the city or walk and hike in the nearby hills where native flora and fauna abound. Pick up a rental car for the rest of your journey through New Zealand. Your drive south of Auckland follows the east coast through picturesque farmland and the beautiful seabird coast, home to thousands of migratory and shorebirds. Travel over steep volcanic mountains clad in dense rainforest to the Pacific Coast of the Peninsula with its many offshore islands. Continue along the coastal route to Tauranga and then inland to Rotorua. Spend the next couple of days exploring. Visit Wai-O-Tapu Thermal Wonderland to see the geyser known as Lady Knox explode. Then take to the water as you experience white water rafting at its best. Ride over a seven-metre drop on this grade 5 river. Even adventurous beginners are welcome though! Take a floatplane to view Mount Tarawera from above. This dormant volcano created an 8km crater when it exploded back in 1886. Today make your way to Napier, a journey of approximately three hours. Depart Rotorua through farmland to Taupo then continue to Napier. 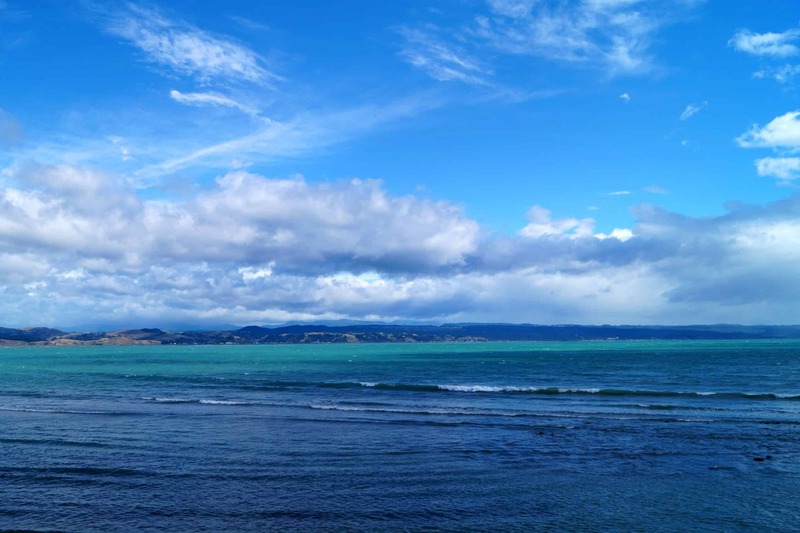 The major highlight on the road from Taupo to Napier is the fantastic scenery. There’s a bit of everything – rugged hills, beautiful valleys, gentle plains and huge vistas. Napier and her sister city Hastings are located in Hawkes Bay, a gentrified coastal bowl of market gardens, rich orchards and vineyards. As the climate is similar to the best grape-growing areas of Europe, a French Catholic mission first planted vines in 1850. Napier owes its distinctive Art Deco appearance to a disastrous earthquake that shook the area in 1931 and almost completely destroyed the city. Today it is known to have the largest concentrated collection of Art Deco buildings in the world. Today you’ll head to Wellington. Enjoy the clean, green Wairarapa scenery as you drive south. Carterton is a good place to shop for paua shell souvenirs, while Greytown has many beautiful examples of Victorian architecture and a quaint museum – take yourself on a self-guided walk. At Featherston, which has an interesting locomotive museum, you’ll turn left towards Martinborough. After the town of Featherston, you’ll climb up and over the Rimutaka Range – great views in every direction. Once the mountains are behind you, it’s easy driving for the rest of your journey. You’ll wind through the picturesque Hutt Valley then a fast-moving motorway will whisk you into the city. The Wellington region is an area of immense diversity and character. Victorian architecture graces the steep hills surrounding one of the finest harbours and beautiful coastlines in the country. Today Wellington is a vibrant cosmopolitan and sophisticated city. Today you’ll take what is widely known as “one of the most beautiful ferry rides in the world” as you travel from the North Island to the South Island. Nelson lies right at the heart of New Zealand, on the curving coastline of the northwest corner of the South Island. The landscape of the region embraces alpine lodges, wilderness mountain country, clear rivers, forests, limestone outcrops, rocky coasts and legendary sandy beaches. Nelson culture boasts a vibrant arts and crafts scene and a great collection of wine and beer makers. 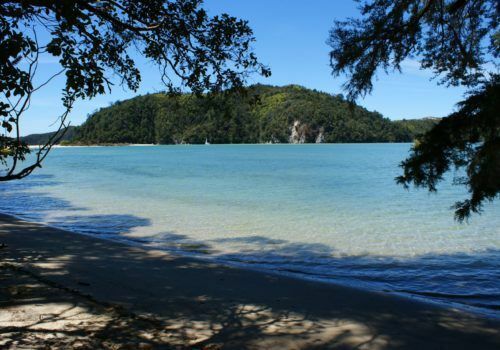 Three National Parks are on Nelson’s doorstep, the most recognised, the Abel Tasman National Park, is a coastal wonderland of sea, sky and golden beaches. You venture up the Buller River to the wild Tasman Sea views of the west coast. In Greymouth, you’ll learn about the local treasures (gold and greenstone). Further down the coast, you’ll need your warmest jacket to explore the Franz Josef glaciers. The road to Franz Josef is rural, but with a wild streak. The farmland is trying to turn back into forest, and the beauty of the rivers is raw and primaeval. Franz Josef Glacier Village’s natural credentials are impeccable and there is a huge variety of natural attractions just a short distance from the Franz Josef Glacier Village. Lakes, rainforests, surging waterfalls and the glacial rivers of ice mean that the area is an adventure and leisure destination that is ready to be explored. The Village itself is the hub of the region with restaurants, nightlife and shopping. Discover the rugged scenery along one of New Zealand’s most awe-inspiring highways. Your journey will take you via the Haast Pass, the southern most pass that connects the communities of the East and West, is humbling. Marvel at the vast rainforests to the clearest waterfalls that eclipse this untouched landscape. Enjoy breathtaking sights, from high mountain peaks to the blue lakes of Hawea, Wanaka, Dunstan and Wakatipu. The first people to discover Queenstown’s rare beauty were Maori pounamu (jade) hunters. Then came the gold miners, in search of another kind of treasure. Today Queenstown is treasured for its magnificent scenery, adventure opportunities and luxury lifestyle. While Queenstown is renowned for adventure, you’ll also find mellow, relaxing attractions. In recent years, the region has acquired wineries, golf courses, art galleries, exceptional restaurants and fabulous day spas. Travel through the rugged and beautiful landscape of Otago. Cross the Lindis Pass into the Mackenzie Country, you might like to visit the Mount Cook Village at the base of New Zealand’s highest mountain Aoraki / Mount Cook (optional). Another recommended stop is the Church of the Good Shepherd on the shores of Lake Tekapo, before continuing to your destination of Christchurch.